My reading goal for 2015 was to read 140 books! As of now I have about 15 books to read before the end of the year in order to reach my goal. I think it’s doable. I’m not putting pressure on myself to reach my goal, but I think it will happen just naturally. 2014 Reading Challenge: Congrats! You read 139 books of a goal of 125! 2013 Reading Challenge: Congrats! You read 119 books of a goal of 100! 2012 Reading Challenge: Congrats! You read 109 books of a goal of 77! This book was SHOCKING and horrifying and really sad and gross in a lot places. It’s all about the kids growing up with “helicopter parents” who are growing into adults who have had no adversity, have no life skills and cannot do anything for themselves. The stories that were told in this book were extreme, but they sure opened my eyes and made me think “I do NOT want to do this!” I mean a 20-something who has her first review at work and it isn’t great review so her MOM calls the HR department to complain?! The kids who are at college and their parents GO TO COLLEGE every weekend to do their laundry?! The book is written by the Dean of Stanford admissions. Sometimes it was a little heavy on the college-prep aspect, which didn’t interest me as much, but the book was well-written, well-researched and easy to read. And boy was it eye-opening. After reading it I talked to a friend of mine with older kids (like 7 and 9) and she said her kids each have one night that they plan the family meal, buy the groceries and cook it. That’s so awesome! 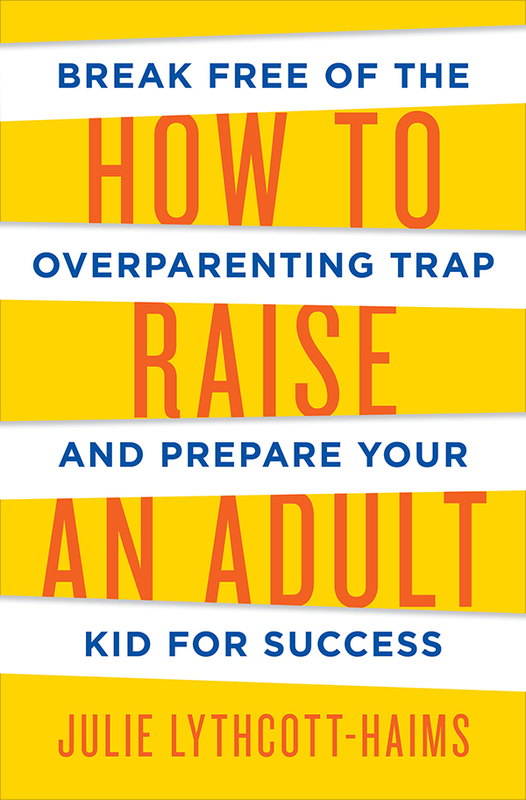 The book does give ideas on how to fix/avoid the trap of over-parenting and teaching kids, even little kids, how to be self-sufficient, questioning and problem-solving. I loved the examples (broken down by age groups) on little things you can do to grow their self-effacy, self-esteem and teach them life skills. I loved this book and like I said, I will be reading it again and making more notes. I agreed with so much of it and found it really helpful to break it down, spell out what to do and there were a ton of other books and articles that sounded interesting in the appendix. Recommended! I didn’t like this book at first. The main characters weren’t likeable at ALL. The story premise seemed a bit silly too–socialites from Philadelphia in WW2 going to Scotland to find the Lochness Monster. Silly. But…..I kept reading. 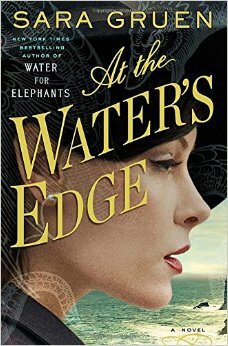 Similar to “Water for Elephants”– I almost gave up on the book and then about 40% through it, it took a turn for the better. 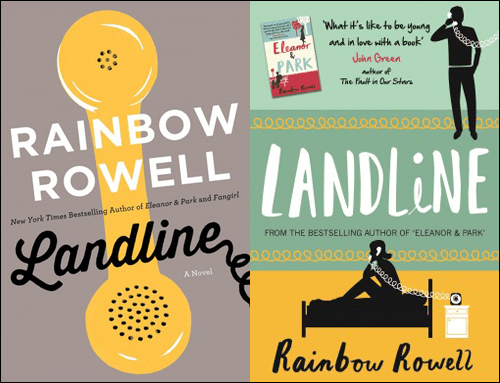 I realized there was more to the story and I grew to like Maddie, the main character, loathe her husband Ellis and his friend Hank (well-written villains) and her story of self-discovery. It ended up being a good book! In this book the main character, Georgie, is a sitcom writer who gets a huge break for a project she’s been working on. It’s nearing Christmas time and the original plan was for the family to go to Omaha for the holidays to be with in-laws. Except this is an opportunity of a lifetime. Georgie and her husband Neal are already struggling, but this tips it over the edge. He takes their two daughters to Omaha and she stays behind to work. Distraught and seeing her marriage unravel, she goes home to her mom’s house and uses the landline to try and call Neal, who won’t answer her texts and phone calls. Except it turns out when she’s calling him on the landline they are going back in time to when they were first together and going through a possible break-up that ended up leading to their engagement. Can Georgie fix their marriage by going “back in time”? Or was this opportunity supposed to show her they weren’t meant to be together? It was a good, fast read and not as “chick lit” as it sounds. I liked the book a lot. First book in the series and it’s a great start! Thomas Andreasson is a police detective in Sweden, getting over a recent divorce after the death of their daughter from SIDS. A body is found on the shore of his childhood island and he goes to investigate. Soon other bodies are stacking up and he’s immersed in the investigation–with the help of his best friend Nora and the other police in his department. Despite the dark subject matter it’s a quaint book with well-developed characters. I was slightly annoyed by the ending but that didn’t deter me from wanting to read the second book when it comes out. I fell in love with Julia Child after reading Julie & Julia years ago and then seeing the movie. 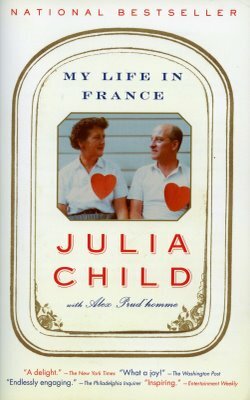 I hadn’t known much about Julia Child and that book was a good little teaser. Since then I’d been interested in reading more about her and finally read her book. What a delight! The book was an easy, fast read and the voice was so engrossing! I’ve never seen her TV shows but now I want to see if I can find them. Her personality jumped off the pages of the book. The book is a memoir of her marriage, life in France, Germany and Norway, and how she learned how to cook. When her and her husband Paul arrived in Paris she immersed herself in the culture and learned the language (as she did everywhere she lived–even at advanced ages!). The book is humorous and just wonderful. I can’t get over it. It was fascinating to read about how she learned how to cook, how she fell in love with French cuisine, and went to Le Cordon Bleu in Paris. She made friends and eventually fell into cookbook writing, almost by accident. This was the most fascinating part of the story, I felt. It took nearly a decade for “Mastering the Art of French Cooking” to be published (there were many trials and tribulations leading up to it!). Her and her coauthors diligently created recipes and Julia tested and re-tested each recipe in her own kitchen to perfect the recipes AND also make them “Americanized”. Basically, she was discovering that a lot of the ingredients the French used weren’t the same as the ones available in America. She did tons of research to find equivalents. Even basic things like flour–the kind of the French used to make these amazing recipes didn’t quite translate the same way with the American version. So she had to test and change things and figure out different quantities and types of ingredients so the recipes worked. The book was a true labor of love. She writes beautifully about the French lifestyle and approach to food and every time she described dishes she created my mouth was watering. It was an inspiring, uplifting, amazing book and I’m so glad I finally read it! You may have seen this show on Netflix, in fact I tried to watch the series and couldn’t get into it but after reading the first book and enjoying it so much I will try again! Kurt Wallander is a detective in Sweden, estranged from his daughter, recently separated and soon to be divorced from his wife, and his father is going senile. He gets a big case that seems to have a lot of twists and turns and no real solutions, and the bodies keep adding up. First, an elderly couple are murdered in their farmhouse–discovered by their elderly neighbors. It’s a brutal scene that just gets worse. Then a Somali refugee is murdered. How are these two cases connected?? The story is good and has a lot of twists and turns. I really like the main character and the other supporting characters. Good start to a series! This was a fascinating story! In this one, Wallander is leading an investigation in Sweden then ends up taking him to Latvia. The time period is 1991, just after the Berlin Wall comes down and the European countries are still feeling the effects of the Cold War. 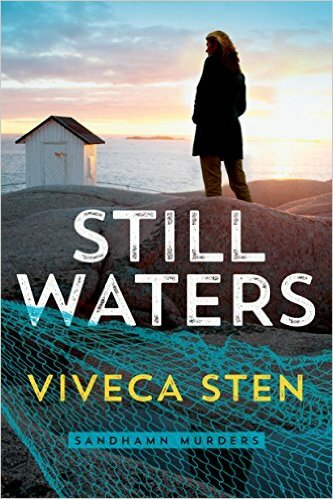 The Latvian investigator who came to Sweden to help Wallander with his current case, goes home and is murdered. Wallander goes to Latvia to assist them with the investigation and soon he’s deep in the thick of Cold War-esque espionage. Spies and everything! It was a good story and I liked it even better than book 1. Wow! I can’t believe you will read 140 books this year! I was proud of myself for reading a book a week. You’re challenging me to set higher standards for myself. I love the Wallandar books too. Persist with the television series: it’s worth it. As for the helicopter parenting, I had a young employee several years ago who had her mom call me to negotiate her vacation. Neither mom nor daughter could understand why this was not a good idea. So funny. OH MY GOD. Really?!?! I would be so embarrassed if my mom did that. Wow. I’m floored. Thanks for the tip on Wallander. I am on book 3 now and loving the series so I will definitely try the show again. It’s good to unplug sometimes but I get the allure of blogs and articles (short and fast reads!). DAMN thats a LOT of reading. I think prechild I might have MAYBE COME CLOSE? CARLA recently posted..5 healthy habits for beating energy VAMPIRES. 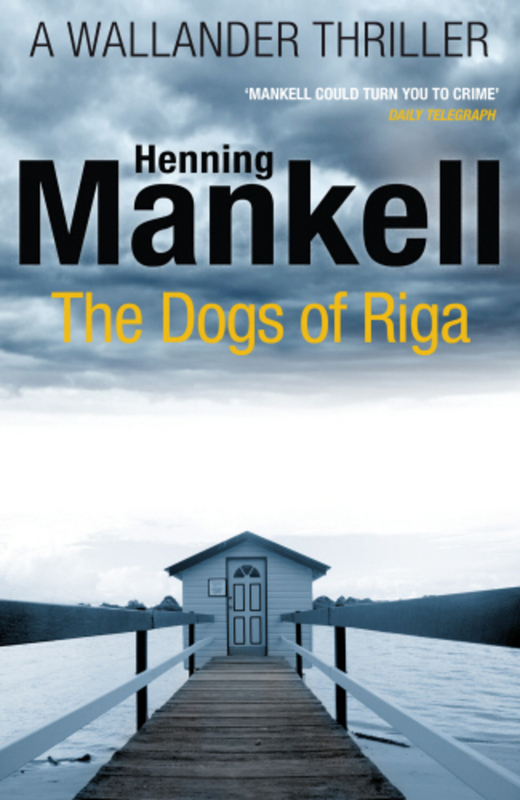 The Henning Mankell books are on my reading list. Did you know he passed away last month? No more new work from him. It’s nice to see you are also interested in the Scandanavian writers.